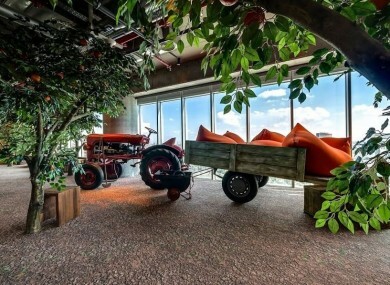 Indoor trees and a slide: the perfect office? GOOGLE THIS AND Google that. We’re getting pretty used to hearing about the perks of working in an office of the multinational tech company. (The Dublin office has a swimming pool, don’t you know). But even we find it hard to be cynical about the latest Google office to open (in Tel Aviv). It uses “wild design” apparently, and there are trees, picnic tables, slides and even a tractor sofa all over the place. Could we at least get a new pot plant for our office? Email “Indoor trees and a slide: the perfect office?”. Feedback on “Indoor trees and a slide: the perfect office?”.